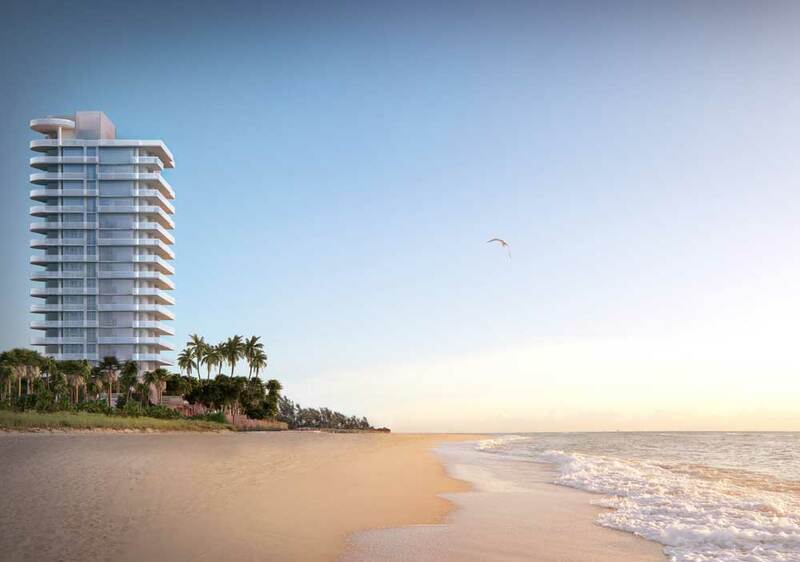 L'Atelier Miami Beach is a pre-construction project - an 18 story all glass oceanfront tower located on the 69th Street and Collins Avenue and rises from behind a historic facade. LAtelier will be designed exclusively by Holly Hunt. All residences have direct ocean views, private elevators, oversized deep terraces, and private whirlpool spas on every terrace. 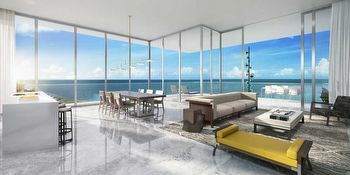 A limited-edition collection of 21 residences connect to the sand and the warm waters of the Atlantic Ocean. L'Atelier is the collaborative result of a highly experienced team of experts. This one-of-a-kind residence, with its artful details, is assembled from some of the most respected names in real estate, design, and architecture. 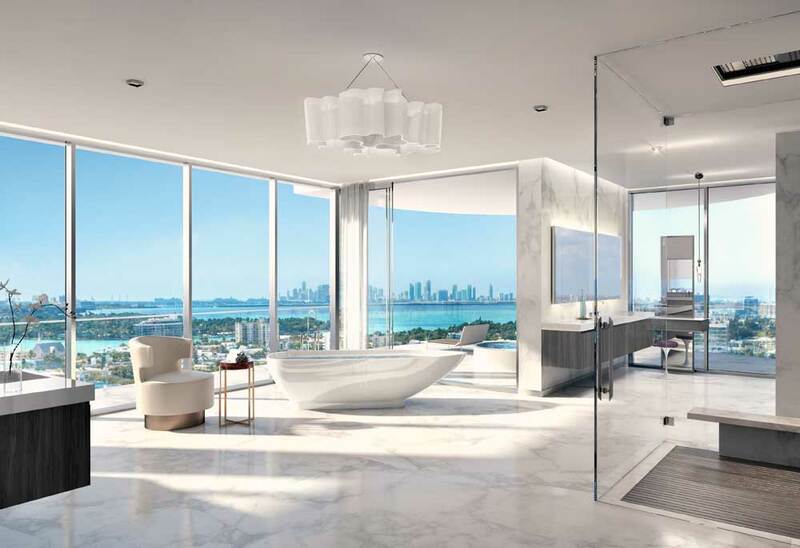 Founded with a commitment to provide quality design balanced with sustainable, economically feasible solutions, Revuelta Architecture International has been the cornerstone of success behind many of the top projects in South Florida, throughout the U.S., and in various international destinations. 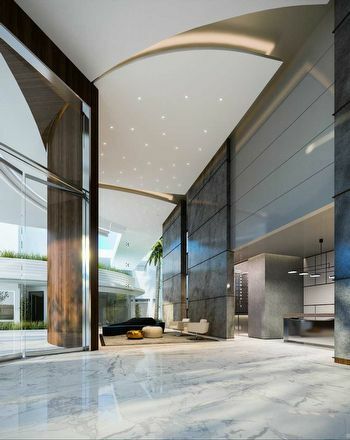 Their creativity and skill have earned them a reputation for designing landmark residential, commercial, hospitality, and mixed-use projects that are as functionally sound as they are aesthetically pleasing. In addition to new, revolutionary ideas, Revuelta also excels at preservation and rehabilitation of historically significant structures, green building, and a willingness to pursue architectural concepts and details to their highest possible level. 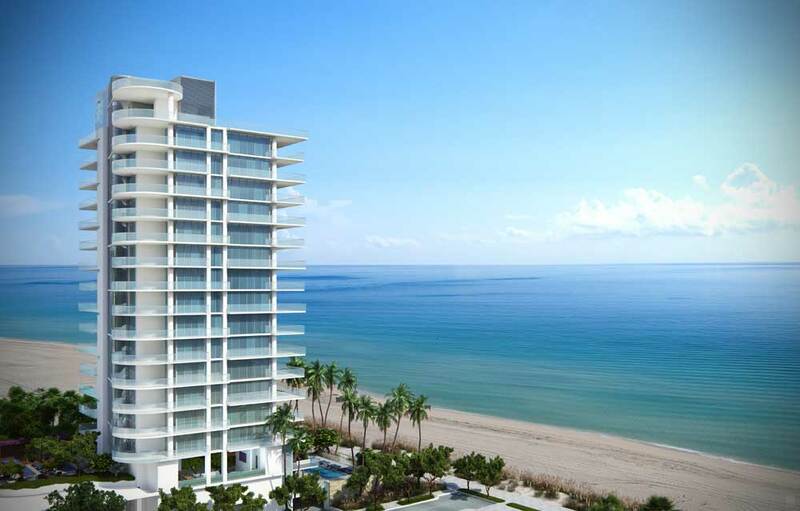 Designed as complete flow-through residences, L'Atelier offers captivating vistas in every direction. To the east, the gorgeous turquoise blues of the Atlantic blend seamlessly with the horizon. To the west, the emerald greens of the La Gorce Golf Course contrast with the skyline of Downtown Miami. To the south, the historical Art Deco District and the towers of South Pointe shine. To the north, Allison Island, the architecture along Collins Avenue and the high-rises of Bal Harbour put the finishing touches on a location that is truly spectacular. Begin each day with sunrises over the ocean. 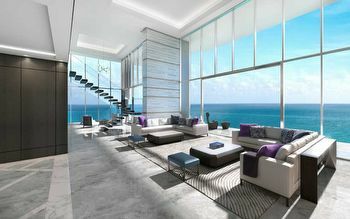 Savor a warm cup of coffee on your expansive balcony as nothing stands between you and your view. Then, venture downstairs for a walk along a quiet stretch of beachfront, free from the hustle and bustle of tourists and traffic. Just outside the historic front facade, the many treats of Collins Avenue beckon. Sidewalk cafes offer a perfect spot for lunch while exploring fashion boutiques and other shops. Walk across the street to Indian Creek to board your yacht or charter one for the afternoon. Take in a round of golf or a tennis match at nearby country clubs. Make a quick jaunt to Lincoln Road or Bal Harbour Shops for designer creations. Cap off the evening at one of the fine dining destinations in the area or attend a concert at the nearby New World Symphony. The former home of the Golden Sands Hotel is now the L'Atelier of Miami Beach, an eighteen story building by architect Luis Revuelta. 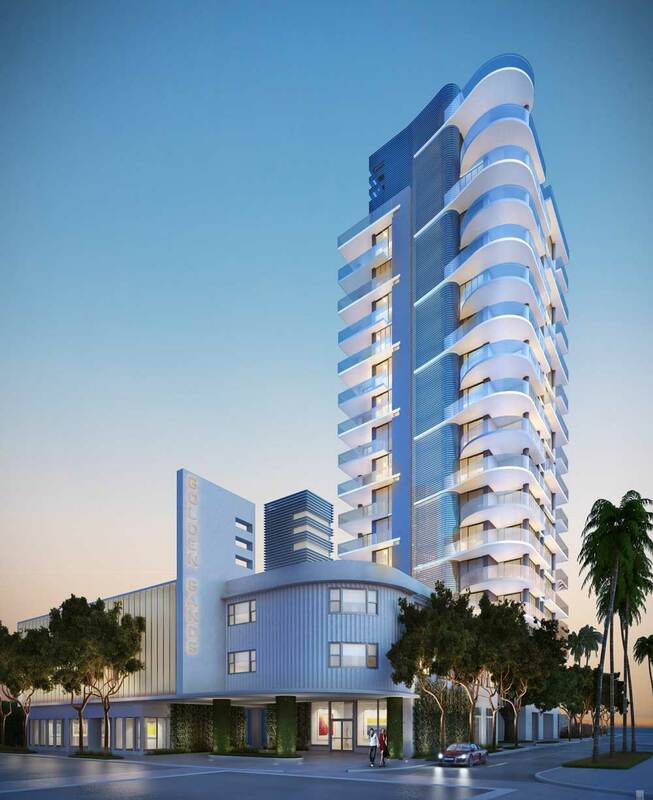 The building mixes modern and classic design to create a beachfront living experience that offers vistas of the Atlantic Ocean as well as a location right on popular Collins Avenue. 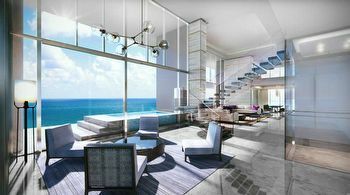 The standard Miami Beach condos for sale within the building have three or four bedrooms or you can choose a six bedroom penthouse residence. Residents of L'Atelier condo can make use of a private beach area, an infinity edge swimming pool overlooking the ocean, a lap pool over seventy feet long on the upper deck, a spa and treatment room plus much more. The standard L'Atelier units have 2,300 to 4,600 square feet of living area. 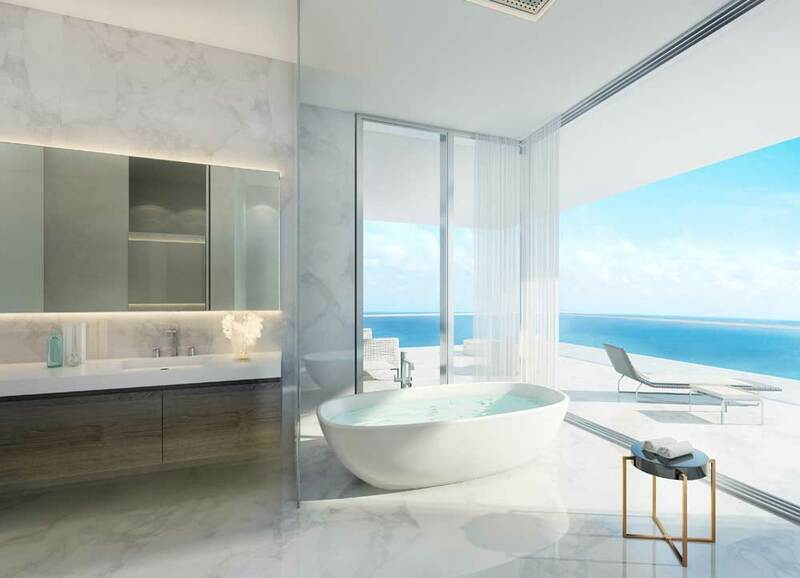 Residential features include ten or eleven foot ceilings, outdoor whirlpool spas and Gaggenau brand appliances, to name a few. Ocean Drive and Lincoln Road remain two of the most popular places in Miami Beach. You'll find plenty of dining and entertainment in the former plus all of that and varied shopping in the latter. 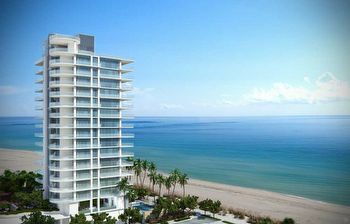 Collins Avenue, South Beach, Bal Harbour, these are all near L'Atelier. Miami and its downtown area can be found to the west across the waters of Biscayne Bay.